The event will be 100% free and open to the public on a first come first serve basis, online pre-registration is required. The main hall can hold up to 250 guests. The event will consist of two keynote presentations (one opening & one closing) each of about 1 hour in duration. In the time between the two keynotes attendees will be in control of the program (Barcamp style). There will be a number of conference rooms available for individuals to hold talks & discussions on topics they see fit. Past events have included topics such as Open Publishing, Open Education, Government Transparency, Open Access, Open Research Data, Creative Commons, Open Hardware, and more. Open Everything is a global conversation about the art, science and spirit of 'open'. It gathers people using openness to create and improve software, education, media, philanthropy, architecture, neighbourhoods, workplaces and the society we live in: everything. It's about thinking, doing and being open. 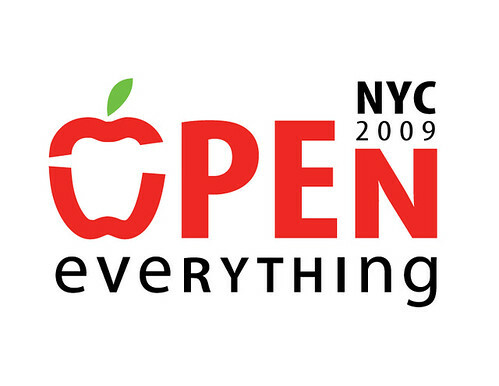 Open Everything was started by a few people back in the beginning of 2008, and it has grown to include events in cities around the world. New York is going to be the next and we’d be delighted if you would participate.